A red backed deck of cards is removed from a blue card box. Instantly the box changes to RED!The change is very fast and happens in plain view. 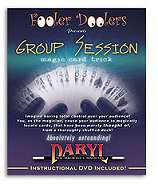 The magician displays a poor poker hand, one a cheater might try to pawn off as a flush. Describing the methods of a professional card shark, and with zero moves, the poker hand turns into Four-of-a-Kind with Aces! 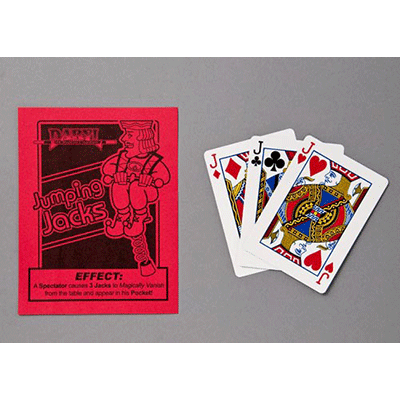 Continuing the explanation of cheaters� secret moves, the hand becomes a Royal Flush in Spades! A round glass disk is used to foretell the future. A playing card is selected from a deck of cards. The spectator thinks of the card and then breathes onto the crystal. The image of the selected card appears on the surface of the glass!, then it slowly fades. Grandpa's special deck with people's names written on the backs is shown. A card is freelyselected. Spectator names ANY man's name. 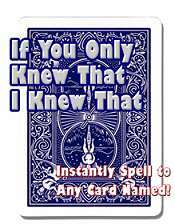 All 52 cards are dealt face down, showing different names, and the card with the chosen name is the selected card!Bicycle back. A deliciously amazing packet trick, Hamman Eggs is sure to leave them astounded. 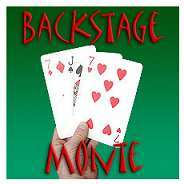 The magician removes a pack of cards from the box and places it onto the table. He then displays a credit card and as he flips through the deck, a member of the audience inserts the credit card wherever they like. 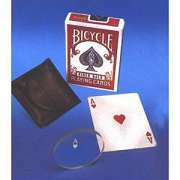 The Classic card gaff on jumbo 4 1/2 x 7 inch Bicycle cards!